Aztec Screens manufacture, supply and install a wide range of security windows, doors and other aluminium products. We provide an obligation free measure and comprehensive quotation - installation & GST included. We always endeavour to provide the best security for your home and family without breaking your budget. 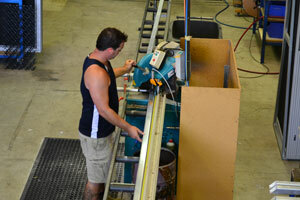 Our process ensures a quality product suited to your individual requirements. We discuss your needs and arrange an appointment to visit you onsite. Our sales representative/installer shows you our product samples and our portfolio. We provide an obligation free measure and quotation onsite. Once you accept Quotation we will require a small deposit to get the ball rolling. We custom manufacture all of our products in our factory ready for installation. 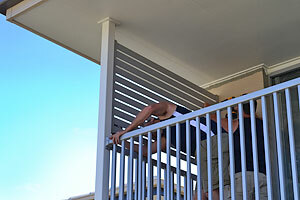 Our qualified tradespeople install the product onsite. We inspect the finished installation to ensure quality control.